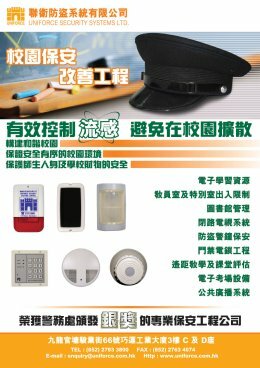 At an award presentation held at Police Headquarters on June 15, 2011, Crime Prevention Bureau (CPB) paid tribute to Central Alarm Monitoring Stations (CAMS) for their dedicated support to reduce false alarms. This is also the 6th Prevention of False Alarms Award honors to Uniforce. 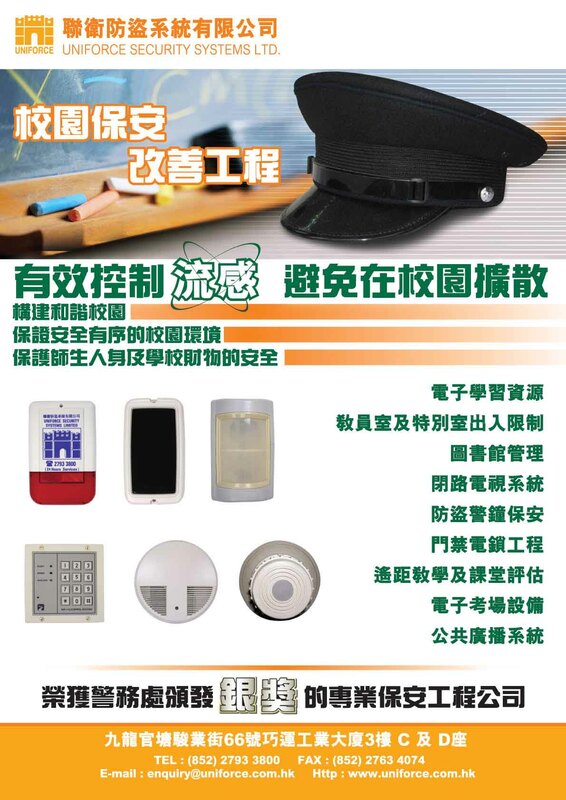 In a bid to save police resources in dealing with false alarms, CPB has been encouraging subscribers to install up-to-standard intruder alarm systems. In addition, CPB also runs a Prevention of False Alarms Award Scheme to recognise the efforts of outstanding CAMS by offering gold, silver and bronze awards to CAMS with 100 to 500 subscribers and those with over 500 subscribers. At the presentation ceremony, Chief Superintendent Cheng Se-lim from Crime Support Group and Mr Edward Pong, Chairman of the Security and Guarding Services Industry Authority, presented awards to the companies operating CAMS in each category. CPB Superintendent Mark Medwecki complimented the award winners and expressed his gratitude for their continuous support and assistance for the Police to minimise false alarms. 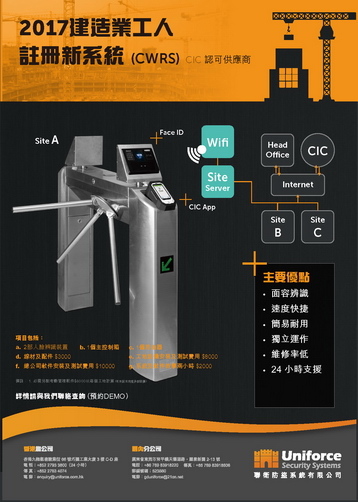 Mr Medwecki said: "Although it is the Hong Kong Police that runs the Phased Response Scheme (PRS), it is the private security industry that actually has brought the false alarm rate down, reflecting not only improvement in technology but also the levels of their services and commitments. 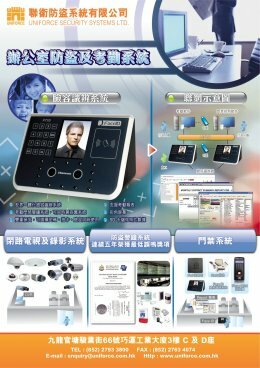 "In 1989, there were 12,024 alarm installations in Hong Kong with 47,423 false alarms per year. To minimise resources being wasted in dealing with false alarms, the PRS was introduced that year, resulting in improvement. "With the co-operation of all the parties concerned, the current four-phased PRS was launched in 2004, leading to further drops in false alarms in the last few years. At the end of last year, there were 16,615 false alarms, representing a substantial decrease of more than 30,000 cases, despite the fact that the number of alarm installations has increased to 29,819. In 2008, the rate of false alarm was reduced to 0.56 per installation per year from 0.9 per installation per year in 2004. This is a remarkable achievement that the security industry can be proud of and the Force has saved thousands of man-hours in deploying frontline officers to deal with false alarms." "Operated by licensed security companies, 26 CAMS are utilising advanced systems with sophisticated detectors and remote monitoring functions to protect premises such as private dwellings, business organisations, schools and government facilities. The CAMS are capable of keeping alarm systems under surveillance and verifying whether any activation is genuine before requesting for deployment of police officers to the scene, thus reducing the demand on police manpower," Mr Medwecki added.